Always dreamed of staying in the most luxurious safari lodges and tented camps, right in the middle of the wilderness? But without paying the top price? Then benefit from this special promotion! Embark on a safari adventure in style! This 13-days Luxury Safari takes you to the wonders of Northern Tanzania: from the scenic Tarangire National Park and famous Ngorongoro Crater to the legendary plains of Serengeti. 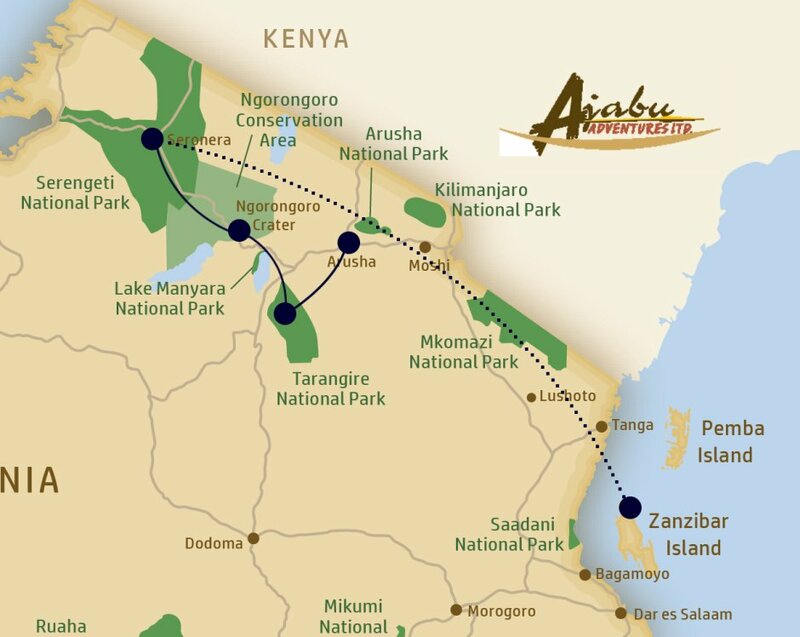 From the bush you will fly directly to the soft white sandy beaches of Zanzibar for pure relaxation. A 5 star dream holiday! Save over USD $2200 per person compared to high season! Contact us directly for a personalized safari proposal. Also check out our 5 reasons why Tanzania is particularly special in green season! This special promotion is only valid when traveling between 3 April and 27 May 2018 and is subject to availability.